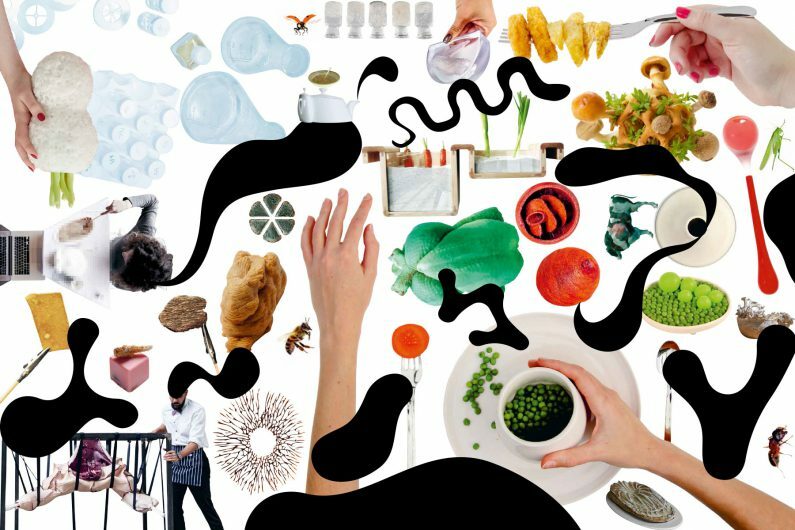 Food Revolution 5.0 exhibition in Hamburg examines food design and the future of food. Food is one of our earliest shaped material, “so it is ‘designed,'” explains the opening text of Food Revolution 5.0, the most robust exhibition of design solutions for the coming food crisis mounted to date. Charting the movement of food within our current industrial system from farm, market, kitchen to table, the exhibition is organized across the same categories and includes projects from design luminaries and MOLD friends including Marti Guixe’s Digital Spamt, Marije Vogelzang’s Volumes and Dunne & Raby’s designs for an overpopulated planet: Foragers. 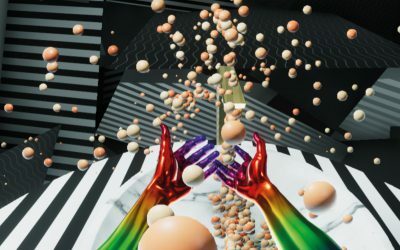 As we face the daunting task of feeding 9 billion people by the year 2050, designers have a significant role to play in defining, “the future of our diet in a growth society characterized by dwindling resources,” the introduction of the exhibition points out. Curated by Dr. Claudia Banz for the Hamburg Museum für Kunst und Gewerbe (Museum of Arts and Crafts) with exhibition design by Dutch designers Studio Makkink & Bey, the exhibition also included a program of public-facing events and a “Laboratory” presenting student works on topics from the exhibition as well as community-driven guides for creating a more resilient food system. Our favorite takeaway from the Laboratory is the DIY guide by assistant curators Luisa Hilmer and Vivian Michalski. With a week left to catch the exhibition in Hamburg, we speak with curator Dr. Claudia Banz on design for the real world (and Victor Papanek), eating insects in Hamburg and why food design now? 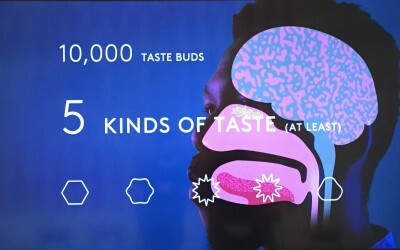 MOLD: Why did your team decide that this moment was the right time to explore food and design at the museum? 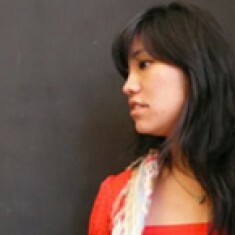 Dr. Claudia Banz: As a curator for design I am especially interested in design issues questioning the social, the society. And food in its complexity from the resources through production to consumption is absolutely central to us. We need to eat because without food, we cannot exist. But there is a lot of disturbing news and information in the media about food security in relation to the challenge to feed a planet with a growing society—food scandals, land grabbing, animal rights, industrial agriculture and climate change. That’s why I started researching the food subject: I wanted to find out how designers are approaching food, what’s under their radar, what kind of food related projects and experiments they are busy with. 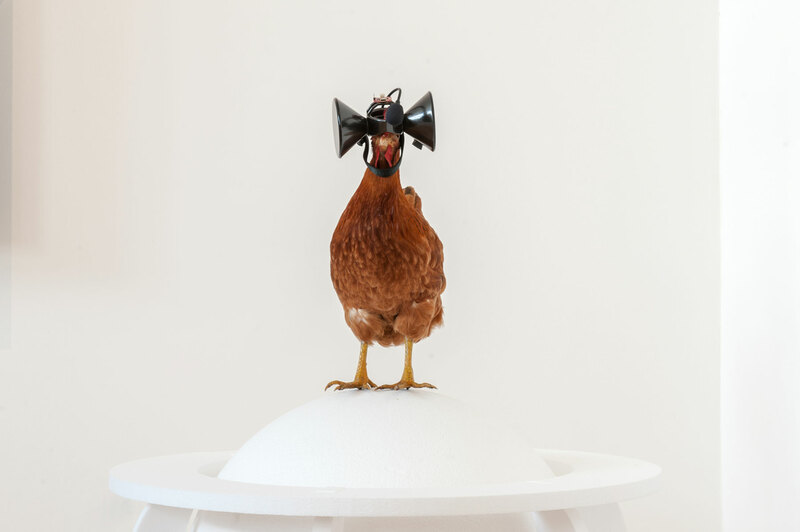 The central thesis of my exhibition is first, that there is an urgent need for a food revolution and second, that designers can or could make a substantial contribution to this process of transformation. Food is an important tool to design society and vice versa. Many of the projects featured are conceptual ideas from the world of speculative design. Why is it important for the public to engage with concepts that might be far into the future? We need to dream new dreams for the 21st century as those of the 20th century rapidly fade. It is becoming clear that many of the challenges we face today are unfixable and that the only way to overcome them is by changing our values, beliefs, attitudes and behavior. By speculating more, at all levels of society, and exploring alternative scenarios, reality will become more malleable and, although the future cannot be predicted, we can help set in place today factors that will increase the probability of a more desirable future happening. You’ve curated an incredible cross-section of projects from the most important food designers working in the space today. Why is food design an urgent space for designers to be working in? What are some of the projects that illustrate this point? In the last ten years, many designers, especially the younger ones, were starting to question the traditional concept of “design” and the role of designers in society. In his famous book Design for the Real World published in the 1960s, Victor Papanek postulated that industrial design belongs to the most harmful professions and that designers have become a dangerous breed. Taking into account that in the age of mass production, design has become the most powerful tool to shape the environment, Papanek demands high social and moral responsibility from the designer. 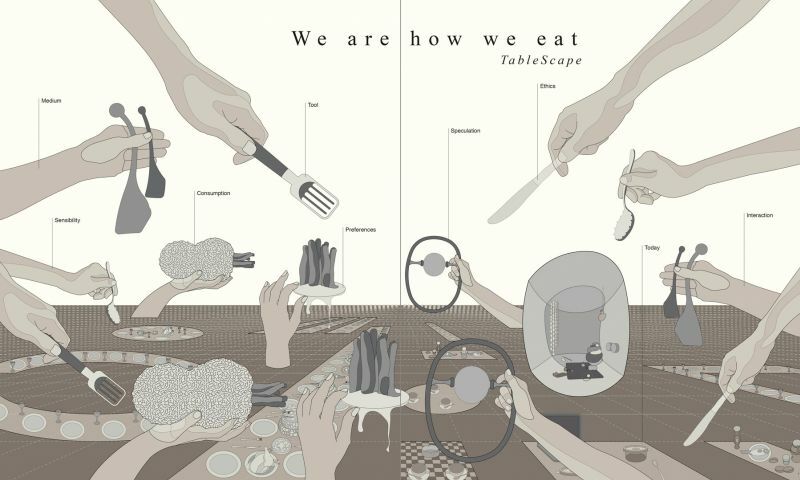 Food is an important tool to design society and vice versa. This is why, finally, food design has evolved into such an important sphere where designers can take over responsibility, where they can do good design—good for human beings, animals and the environment. 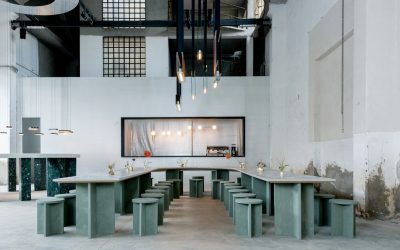 Some designers are trying to reinvent the kitchen, transforming it into a contemporary indoor farming and production place with aquaponic systems; as a reaction to livestock industries and its negative impact on the climate, designers are experimenting with insects, seaweed and in vitro-meat; others adopt a critically-engaged approach to our eating habits, create new cutlery to stimulate the taste buds that industrialization has caused to waste away, develop objects for the plate that encourage us to take smaller portions or eat more slowly. The exhibition has been running since May and is almost at a close. What are some of the most surprising reactions from the public you’ve received so far? We served insects for the opening, but most people didn’t like it. Although we also talk about the dark sides of livestock industries and meat production in the exhibition. What was very nice was the reaction of mostly older people who started to talk about their own experiences of food production and preservation when they were younger, i.e. in the age before fast food and convenience food. 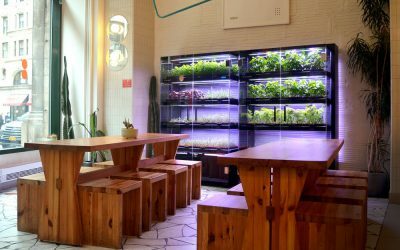 They were talking exactly about that cultural practice knowledge, which is more and more appreciated now by the younger generation—urban gardening, indoor farming, fermentation or regional and seasonal food. 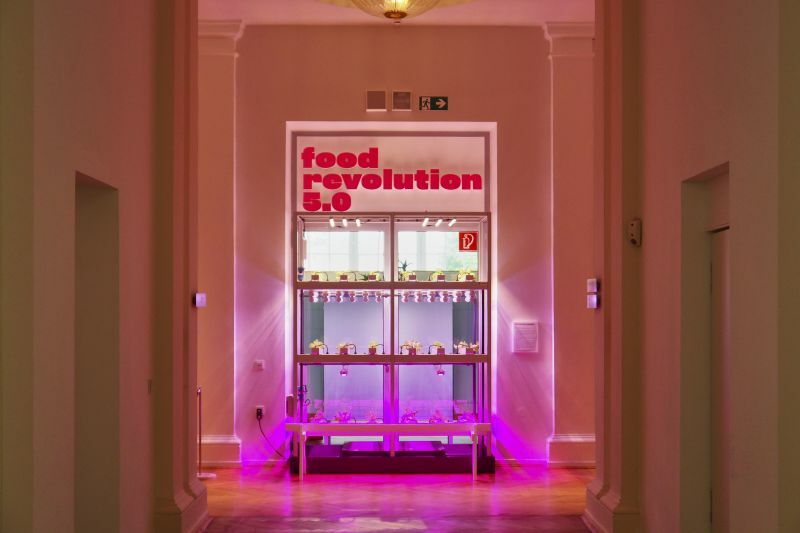 Food Revolution 5.0 runs through October 29th at the Museum für Kunst und Gewerbe Hamburg and will then open at Staatliche Museen zu Berlin, May-September 2018.